Home Blog Copyright or wrong? 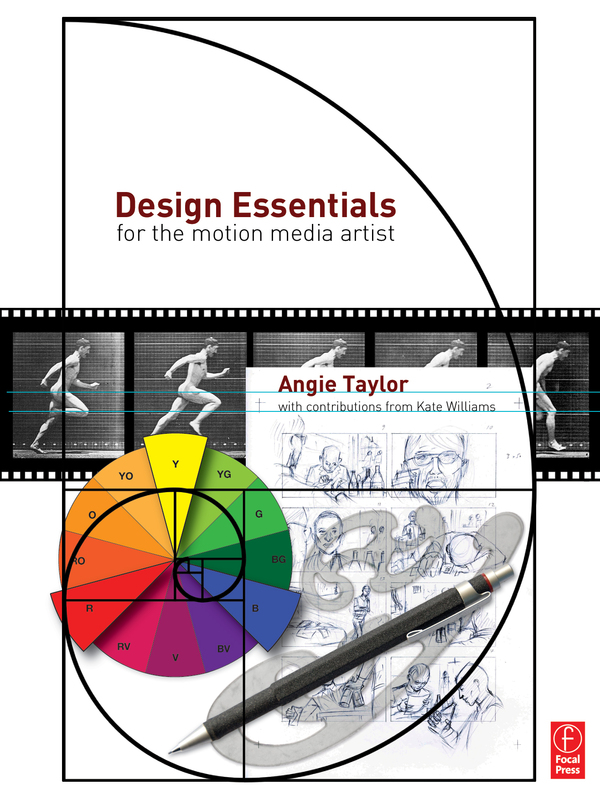 I apologize for my recent silence in the blog-o-sphere but I’ve been busy putting the finishing touches to my forthcoming book, “Design Essentials for the Motion Media Artist“. It’s funny, I’ve written books before. Software books, teaching people how to use Adobe After Effects to be specific. I was commissioned to write these books, at the time there were very few books on the subject and there was a growing demand for them. I must say, I hated writing them, the process was so bogged down with technical checking and they had to be written in a very standard, linear way which I found stifling. I’m pleased to say that this book was different. It’s about the principles of art and design, a subject very close to my heart, something I live and breathe so writing it was very hard work but also, a real pleasure. That is, till it came to illustrating the book. Creating my own images and diagrams was fine, no problem. But when it came time to adding photographs of famous inventors, artists, artworks and examples of motion graphics, the nightmares started. I tried my best to get clearance for the images, but to no avail. First of all I had to find out who the copyright owners were, this is not as easy as you may think. In some cases several people claim to own copyright so how do I know which one to believe? Even after finding out and writing to them, I’d often get no response. One day I rang the Galleria Nazionale delle Marche in Italy to ask for permission to use a reproduction of The Flagellation by Piero Della Francesca, I greeted them in my best pigeon Italian (which admittedly is pretty poor!) I asked if there was anyone there who spoke English and they promptly hung up on me! This happened three times! This was an extreme example but fairly typical in that nobody seemed interested in my offers to pay for written permissions to use their work. It seems that everybody wants to protect their work but nobody wants to sell you the rights to use it, so what’s the point in protecting it, what are they protecting it from exactly? I have no intention of stealing anybody’s work, using it for any obscene publication, claiming that it was mine, all I wanted to do was pay tribute to some of my favorite pieces of work, and their creators. I presumed that copyright was intended to prevent the creators from losing revenue but if they’re not making it easy for people to pay, how do they expect to make any money? It seems very sad that the creative outpourings of artists and designers are surrounded by a cobweb of bureaucracy that prevents them from getting exposure, making money, providing inspiration for others and being shared, loved and developed into the art and design of tomorrow. Since encountering this situation I have read up on copyright and want to share a couple of really interesting articles on the subject. The Abolish Copyright website explains why this system is so antiquated and has some great links to other articles. Anyone who is planning to provide web content in the UK should read up about the Digital Economy Bill which is being pushed through parliament as we speak. It’s likely to make matters a whole lot worse by propping up and supporting bad business models by giving unprecedented power to private entities to impose sanctions based on suspicion rather than due process. They can even take away your internet access if they suspect you of having copyright items on your website, it’s crazy! But, it’s not too late to act, The Open Rights Group will help you fight this insidious and draconian bill before it’s too late! Finally, as a celebration of those brave individuals who stick two fingers up at copyright law, and as a tribute to Malcolm McLaren, a true eccentric Englishman who helped change the face of music. Bow Wow Wow‘s fantastic “C30, C60, C90 – Go!” – listen free on Last FM. The status quo is truly a mess. I’m just wondering – since you are a creative yourself – what if someone wanted to use your material in a book.. Wouldn’t you like them to ask your permission – and perhaps pay you something for it? After all, the book will be sold for money so shouldn’t you get a little of that? I realize that many times it may be hard to reach the original creator – that is a problem. If you did get to ask them they’d probably feel honored and agree. Still, shouldn’t that be up to the creator? IMO The Digital Economy Bill is awful because it infringes on people’s privacy, not because it tries to protect the rights of creators. I don’t see what it has to do with the issue you describe. The same problem of securing rights existed way before the DEB. Of course I would appreciate that courtesy, and this is what I do with others of course. I’d be absolutely happy to pay if it was easy for me to do so. I’d also be happy for people to use parts of my work in their own work and would likely agree to them using it free of charge or for a small fee, depending on the project. The Digital Economy Bill does affect this too as the risks to those who unknowingly include copyrighted material on their site can have it closed down and internet access removed. Many images that are widely considered to be “public domain” still require appropriate permissions to be sought, it’s not black and white. Of course artist’s work needs to be protected to a certain extent, and I don’t claim to have any magic solutions for this. But the current copyright system doesn’t work, it stifles creativity and is more designed for the interests of big business rather than the artists themselves. In fact it was originally designed to prevent other publishers copying the work. It was never designed to protect the artists. It’s a really difficult issue that I wish I had a solution for. I just think further unsatisfactory legislation is not the solution. I think we are on the same page. Maybe.. As you say it is “depending on the project”. For example I wouldn’t be happy if Warner used my work without credit or pay. I just think we need to be careful when screaming copyright reform because we might end up losing our rights. Copyright is after all given to the artist, not the publisher (unless the artist has a deal with a publisher). Do you have a reference on copyright being “originally designed to prevent other publishers copying the work”? Related: I really enjoy some of the bunker-Hitler spoofs. I wish there was a way for those to exist. I guess I wish the owner of that clip would make it available somehow. btw – missed you at NAB! Yes, I’ve included some links here to the sources but here are two more. you should also check out Mark’s link to his talk which helps you see things from another perspective too. If an independent artist takes something I’ve done and improves it, good on them! That’s called evolution! If they don’t improve it then folks will still want to come back to the original. If you have talent there will be plenty more where that came from anyway, you should have nothing to fear by sharing your work, as long as it’s done with respect. I agree that there needs to be some regulation though. I think the Creative Commons approach is interesting but it’s not fail-safe. If they could regulate that it would be a better option. I dunno, it certainly is a thorny issue. I missed NAB and all my friends too! Hope to see you soon! I think I’m starting to see your point. However, the copyright debate is confused by people that are not creative at all, they just want to download stuff for free. They make the case that “infinite goods” (such as digital music) cannot have value in itself. Artists must sell physical goods to earn income (this appears to be the view held by for example Techdirt). I do not share that view. Back to the Artists: how about a shortening of the initial term and introducing progressively increasing renewal fees (got that idea from a comment on the Economist article) so that works do not end up in legal limbo? If the renewal isn’t paid the work becomes public domain. Everybody wins, no? Creative Commons is an interesting idea, but I think it won’t fly because what we really want is to place works in the public domain – not “some rights reserved”. When I stared Trapcode People I investigated the CC licenses and I chose the public domain dedication for any work published at TP. So that anyone could use any work for any purpose. It seemed the only logical choice. In the end, I think the artist himself should be able to decide how his work is used. For a limited time. Sorry for the long posts. Trying to get this sorted in my head..